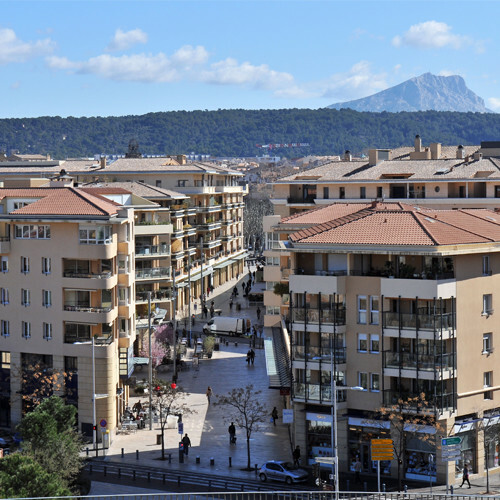 The city of Aix-en-Provence has an exemplary urbanism programme declared of public utility by the state in 1992: the Sextius-Mirabeau programme. The project covers 20 hectares. Its objective is to link the ancient city to the new districts, while offering more public facilities and living spaces, more fluid traffic and ever more events in the different districts of the city. Aix-en-Provence thus has new housing buildings, office space, shops in “Les Allées Provençales” and cultural spaces such as the “Pavillon Noir” (Centre National Chorégraphique) and the “Grand Théâtre de Provence, GTP” (concert hall).